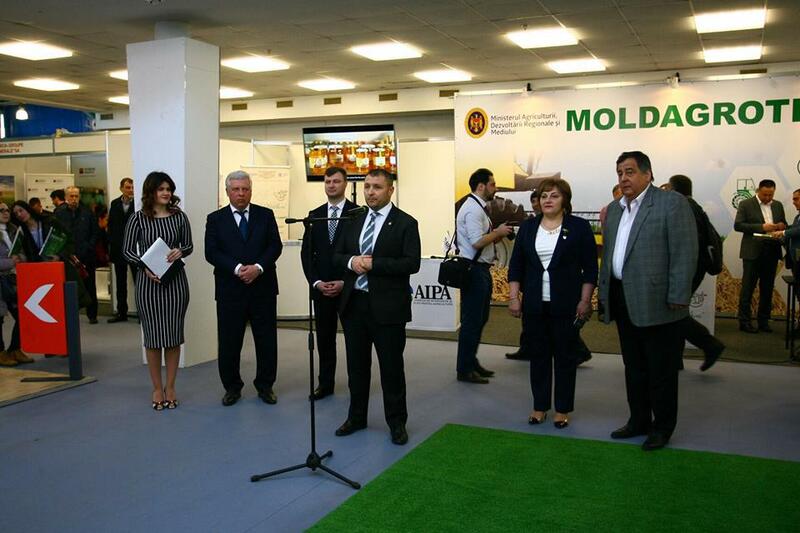 Today, at the International Exhibition Center Moldexpo, was opened the 36th International specialized exhibition of equipment and technologies for the agroindustrial sector MOLDAGROTECH (spring) 2019. Welcoming the participants, guests and visitors of the exhibition, Nicolae Ciubuc, Minister of Agriculture, Regional Development and Environment, stressed that the exhibition is a good platform “for finding new solutions for the development of the agricultural sector, for demonstrating new technologies with the aim to boost the industry’s modernization and competitiveness". Thanking the organizers of the exhibition for the high level of organization of the event at its both editions, the Minister noted that the relevant ministry intends to provide all necessary support to the national agriculture to modernize it and move closer to world standards. During the all 4 days at the exhibition, scientific and practical seminars and round tables will be held. The business program of MOLDAGROTECH (spring) 2019 opened with the seminar “Conservation agriculture in conditions of neutralizing soil degradation and enhancing the fertility of black soil,” organized by the Institute of Soil Science, Agrochemistry and Soil Protection Nicolae Dimo ​​and the National Society of Soil Scientists of the Republic of Moldova. Today, two more workshops will be held in the central pavilion of IEC Moldexpo on the following topics “Particulars of feeding farm animals in spring” and “Technology for producing high-quality cow milk”. The exhibition MOLDAGROTECH (spring) 2019 will run from March 13 to 16. Over 150 companies are participating from the Republic of Moldova, Austria, Bulgaria, Russia, Italy, Spain, Romania, the Czech Republic and Ukraine.